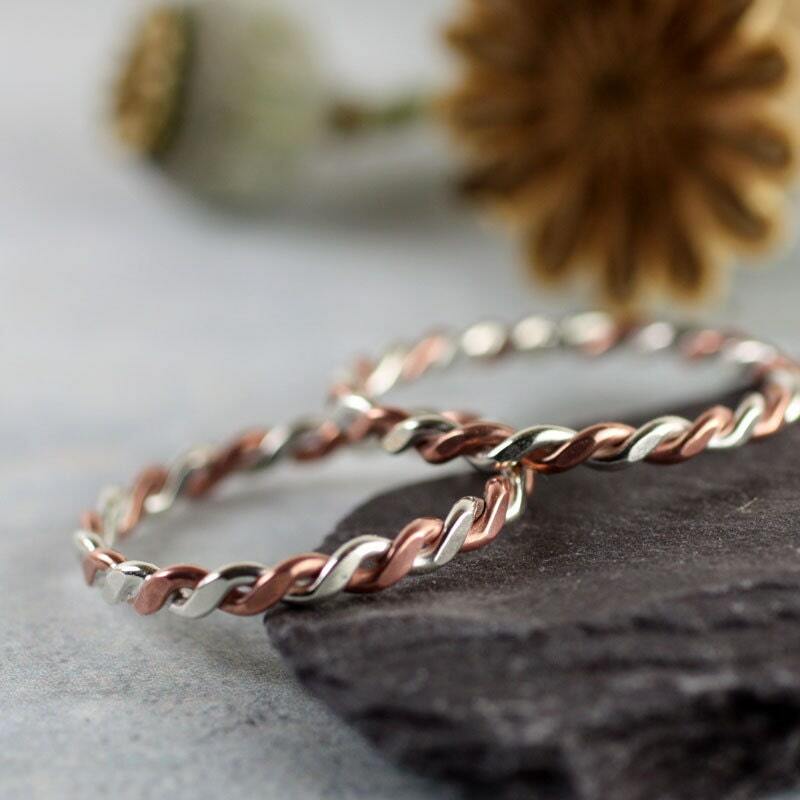 Sterling silver and copper entwined into a wire ring with twist detail hand forged in your size. 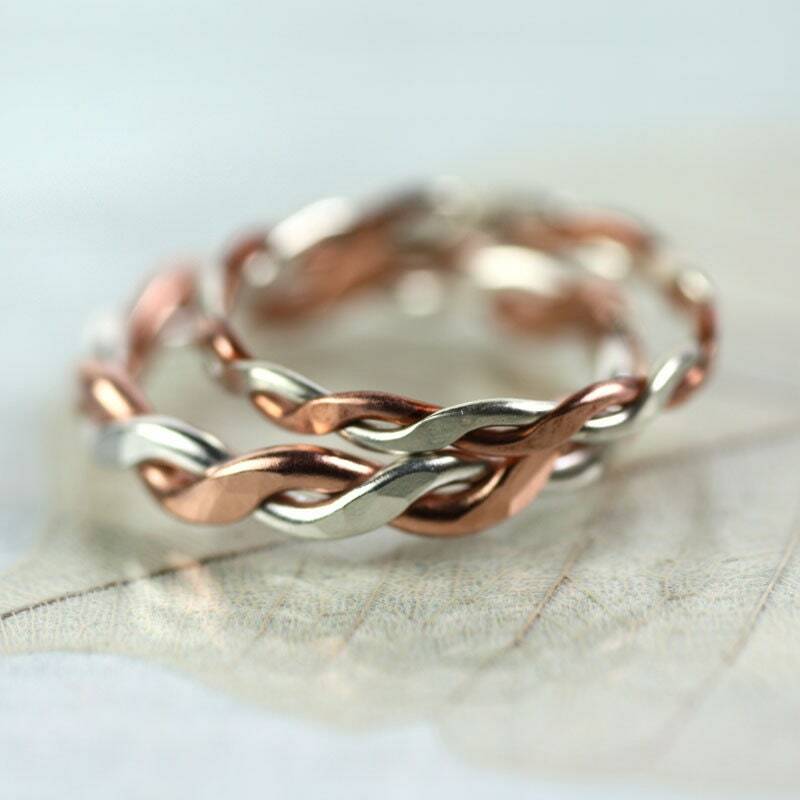 The ring is ideal for stacking, or can be worn on its own. 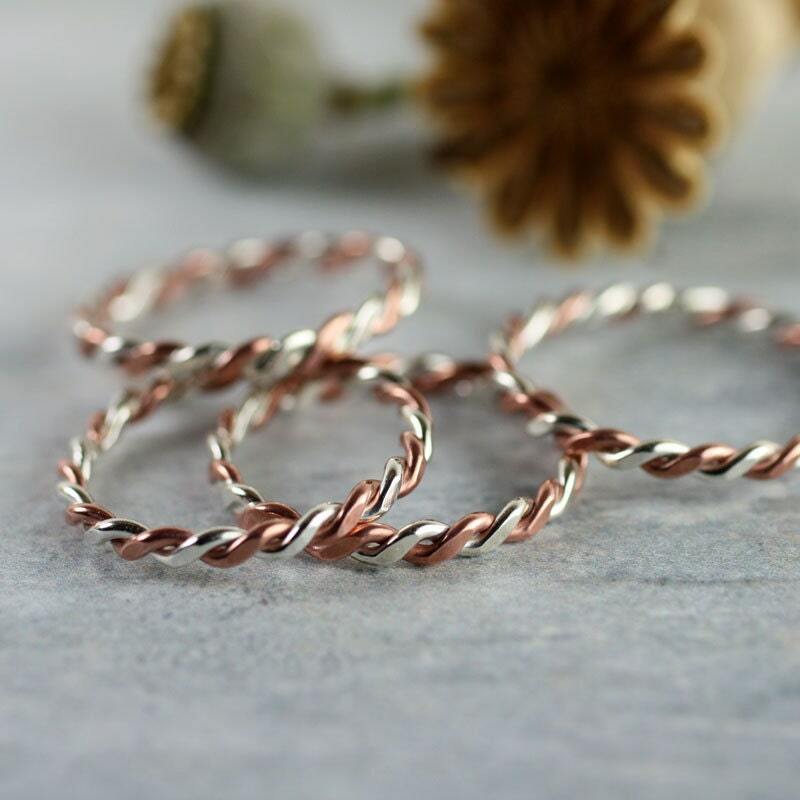 The copper and silver wire complement each other beautifully and the two colors enhances the rope pattern. It's made from two wires that have been twisted together by hand. I have hammered the wire, flattening it to make the twist stand out more and to make it more comfortable to wear. The listing is for one ring. 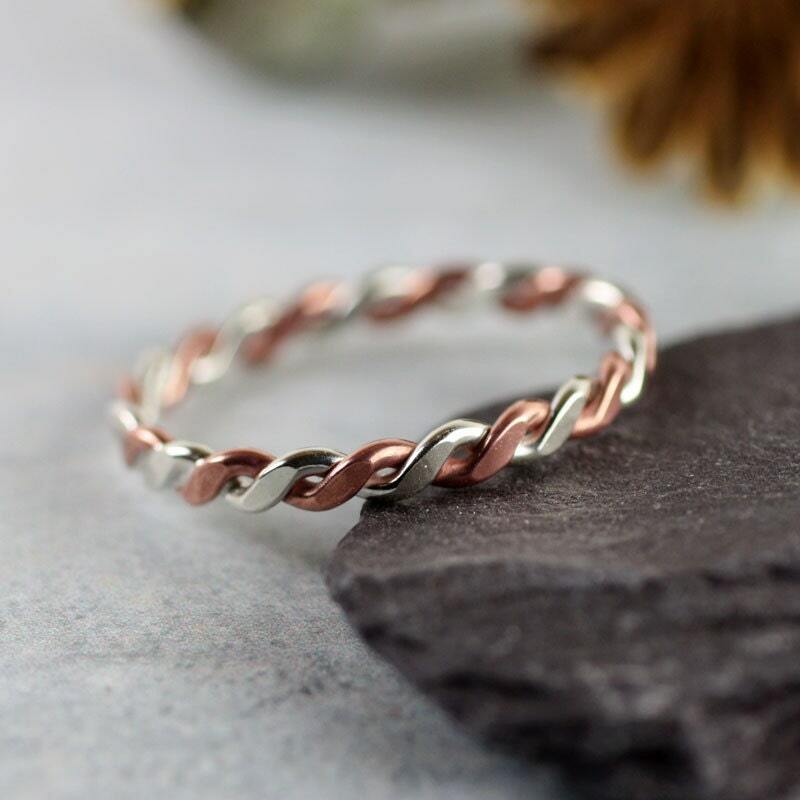 If you don't know your US size, just let me know (note to seller) which European or UK size you need or even measure the inner diameter of a ring you already have. 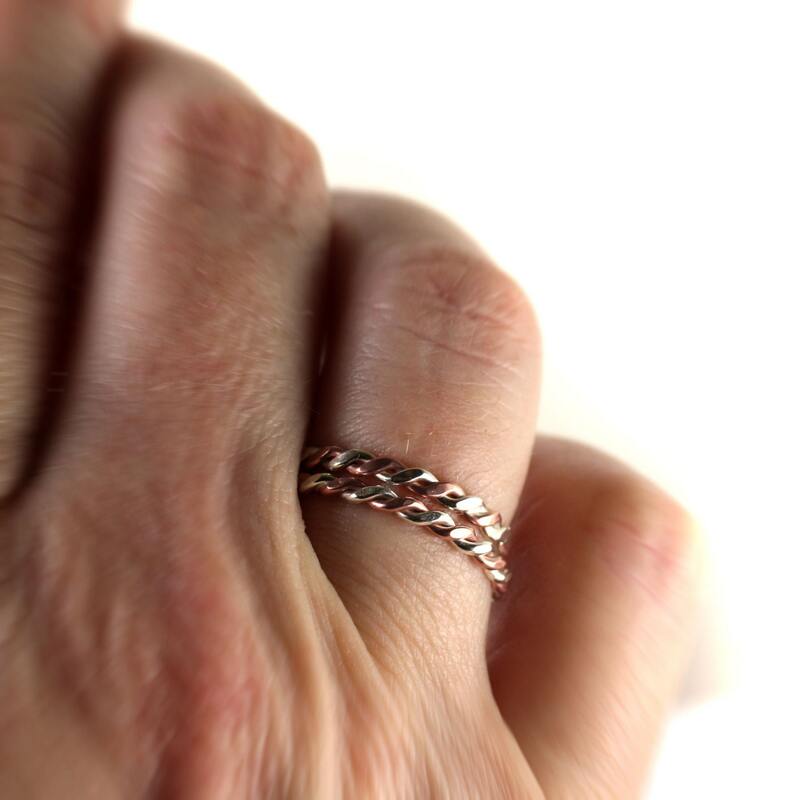 Nana's online jewelry Shop: These little wire rings are so comfortable and elegant. They have travelled all over the world to very happy customers. Please do have a look at the selection before you go. Will arrive ready gift-wrapped in a little box . Beautiful work and great fit. It's very delicate and absolutly stunning! Thanks a lot! 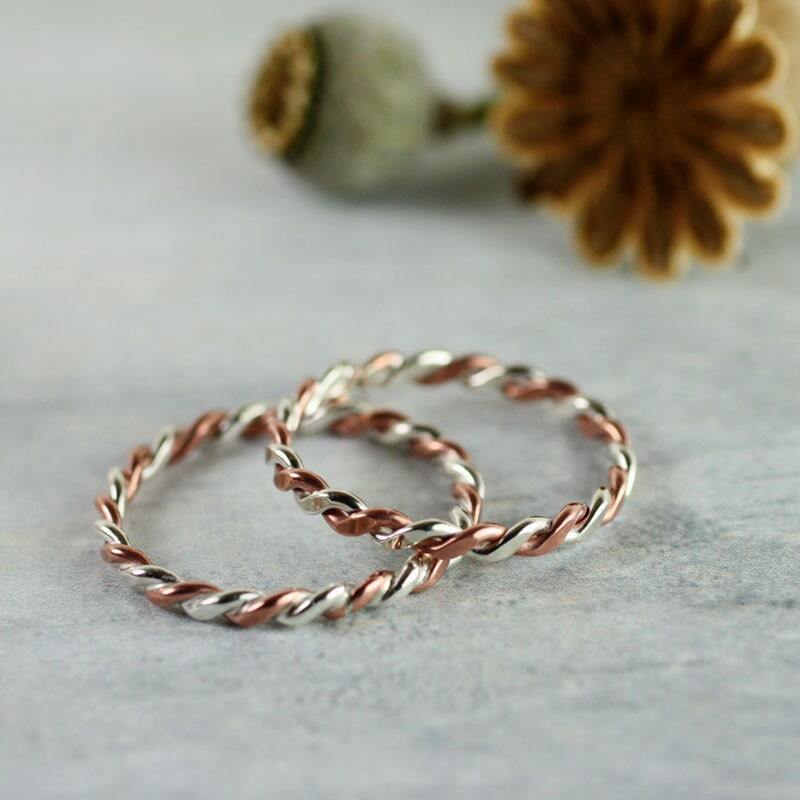 Very dainty, high quality twist ring. Very pleased with it, thank you! Lovely rings. Good fit. Great customer service and fast delivery even over the New Year. Can highly recommend!